First, I have to explain why the pillow in the cover photo is upside down and why I didn't change it. My son, Henry, is serious about directions. He can stand anywhere at any given time and tell you what direction he is facing. It bugs him that this compass pillow doesn't show the accurate direction when it is on a piece of furniture in our house. He goes behind me and flips the pillow to show the true direction. It is not correct in this picture, but it gets flipped so many times that I didn't even notice I placed it on the couch upside down until I had taken all of these pictures. A few months ago I did a 2 Bills 2 Blow post, and shared that if I had $200 to just spend in our living room, I would spend it on a new living room rug. I didn't have an extra $200 to spend on that right now, but I realized that I had the exact same rug I wanted for the living room in our master bedroom. 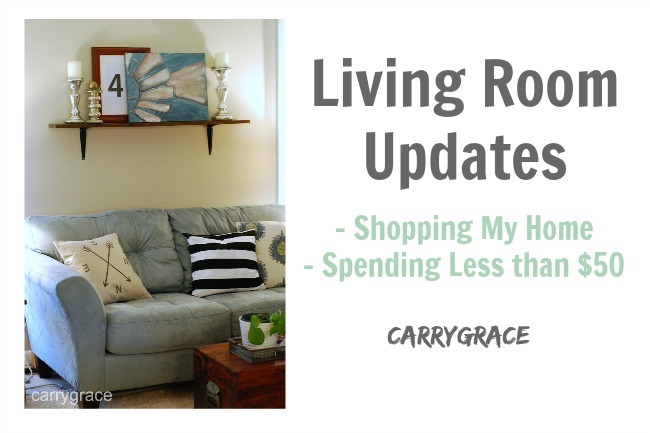 I decided that I would switch the rugs and give myself a budget of $50 to make some changes to our living room. This happens to be the best shot I got to show the rug. 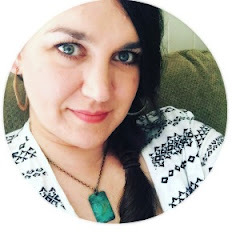 Blogger Fail! I am so out of practice when it comes to taking pictures. I need to work on this. The good news is that you can get the full room tour on video HERE on my YouTube Channel. 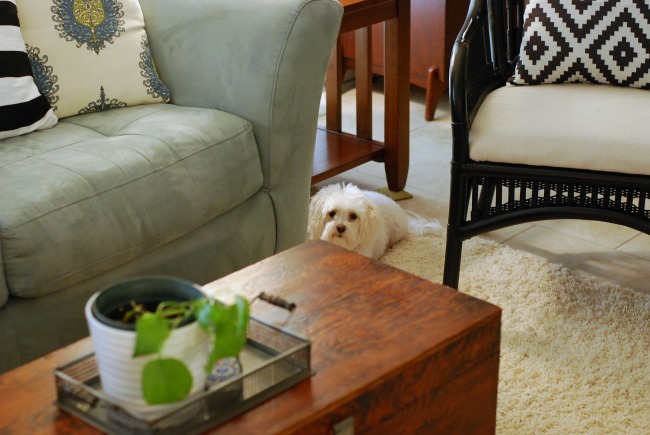 Getting rid of the brown rug really lightened up the room. It also gave me the freedom to add a nice dose of black and white. I decided to go with several new pillow covers for the pillows that I already had. Black and White Stripe - I paid $5.30 for the pair. Black and White Geometric Covers - I paid $6.99 for the pair. Compass Linen Pillow Cover - I paid $2.97 for one cover. The next thing was to change the accent chair. I originally had a leather chair here, but have been wanting to move it upstairs to my husbands office. 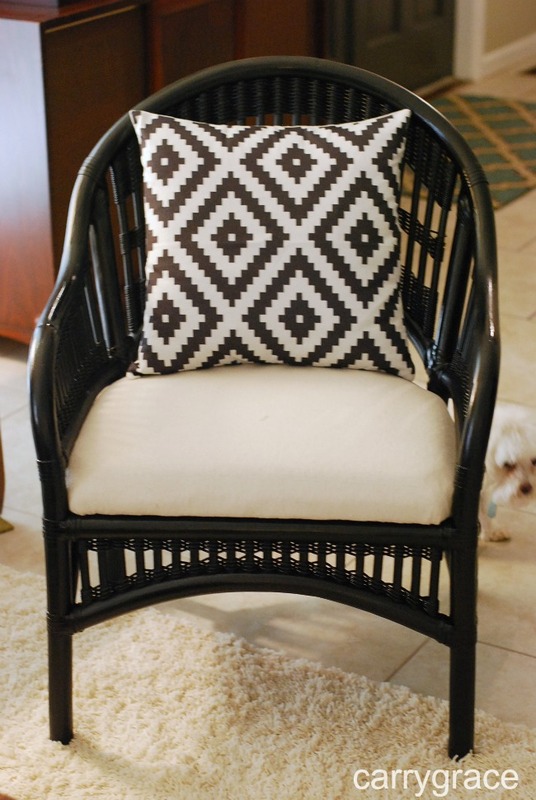 I painted a rattan chair that was in my husband's office and recovered the cushion with a painters drop cloth. I have 2 of these chairs, so they both got painted, recovered, and new pillow covers. I only included that cost of the one chair in this room since the other one will live in my bedroom. The space above this love seat has been blank for months. I thought that I really wanted a large clock here. Clearly I didn't have enough for that in my $50 budget, so I had to get creative. 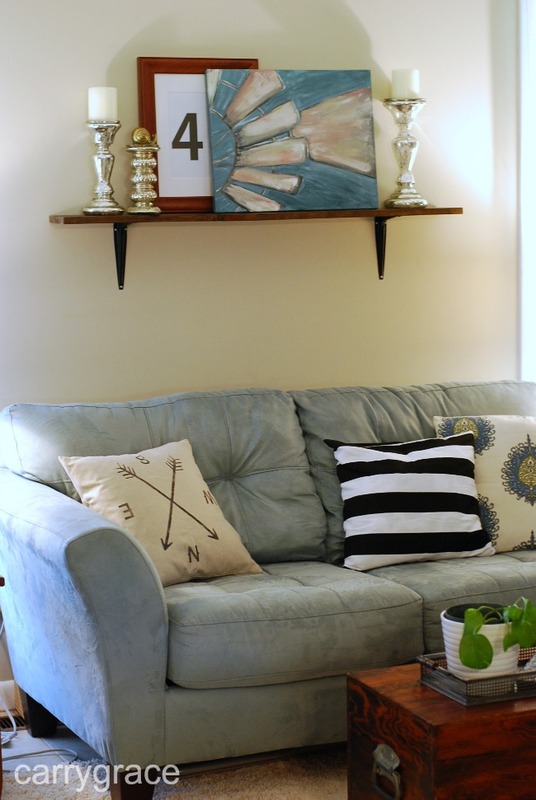 I grabbed a cast off shelf from the corner of a closet and painted the shelf brackets. I painted over a canvas that I already had and then added accessories that weren't really being used elsewhere. The 4 is printed on a piece of printer paper from my printer. I just put it in a frame that I already had. The top of the piano has been decorated many different ways, but it was feeling very off to me. I was going through some old pictures and came across a picture from my Mother's living room from many years back. 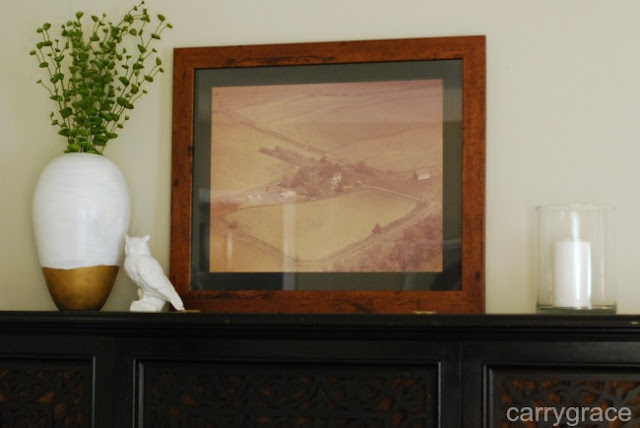 I knew right away that I missed seeing the picture of my great grandmother's farm over the piano like my mom always had it. I added a few light accessories to make it more my style, but I think it is just right now. I owe a big thank you to my sister for letting me have this picture back. The last thing I did was to change my gallery wall. I liked it before, but wanted a change. I took the peacock picture from the before picture and turned it into a chalkboard using paint that I had on hand. The cow is a small painting that I did on a canvas I already had many months ago. I created the Let's Stay Home print for a frame that I already had. The duck picture is a photo that I took a few years ago. I also painted the large cotton canvas. I used a canvas I already had and painted over it. When I started thinking about making changes to this room, I really wanted to add a little bit of nod to farmhouse decor. My home is way too colorful to be considered "farmhouse", but I still like some things that lean that direction. I like metal, wood, black and white, and most importantly.....farm animals. My last name is also Cotton...that is about as farmhouse as you can get. I just like it all mixed with bold color and shiny things. 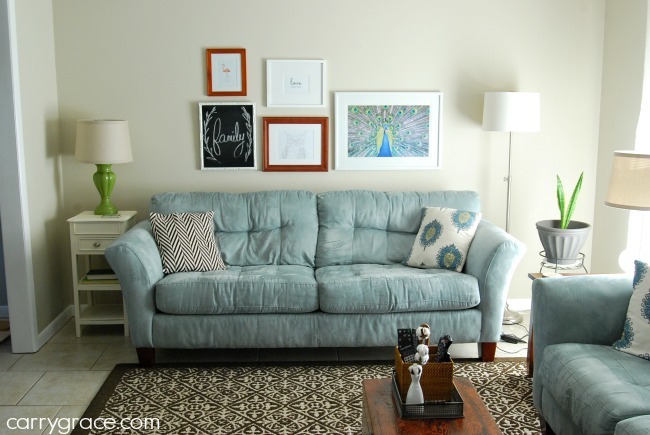 I am sharing the "Let's stay Home" print as a free printable. Just right click the image and save it to your compute. You can then upload it wherever you get prints made and have it printed. I love it! 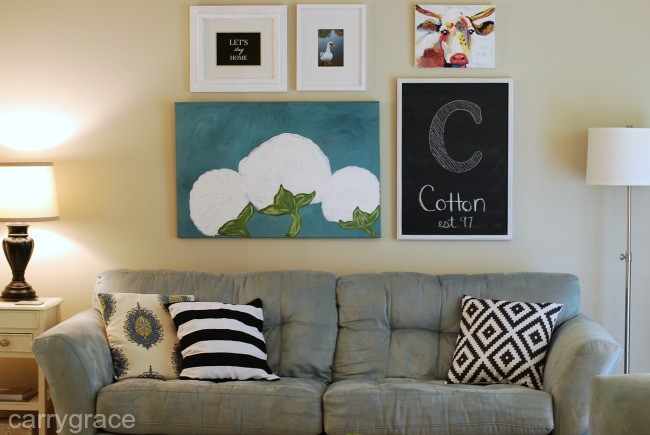 I have to confess, it didn't occur to me why you painted the cotton picture for your living room until you mentioned your last name being "Cotton" and as close to farmhouse as you can get. Since you previewed that new canvas painting a few weeks ago, I just assumed you went with cotton because you live in Alabama. LOL. Either way, it looks awesome!